Investing in education is, without a doubt, the single most effective way of reducing poverty. The result of education in developing countries is dramatic. Education not only raises income levels, but it improves health conditions, promotes gender equality, and combats corruption – ultimately reducing poverty. Encourages transparency, good governance, stability and helps fight against graft and corruption. ACES efforts are currently centered on the community of Mendoza in the city of Santo Domingo. Educational programs are being developed which will support area children and adults. 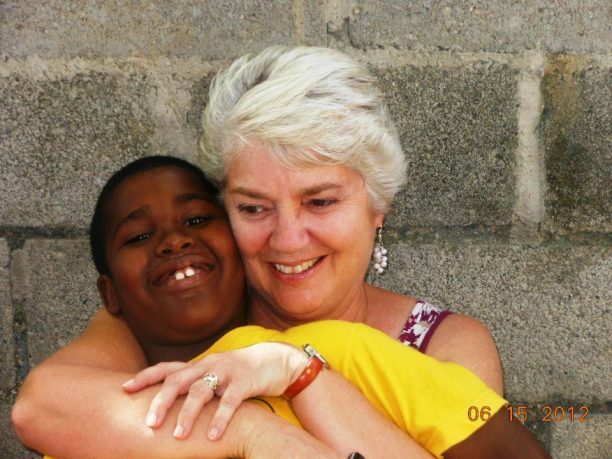 Also, we have partnered with the International School in Las Terrenas, providing scholarship support for native children as well as facility enhancement and repair. We understand that most people want to be productive and self-sustaining, but simply lack the training and resources to do so. We facilitate the development of sustainable businesses from conception to completion. From training woodworkers, to teaching sustainable techniques to farmers, we look for any opportunity to develop the Dominican economy. March 30, 2019 the crafts workshop was launched with artist María Cristina Cadena, an assistant teacher at Las Terrenas International School, in the community of La Barbacoa. It is a pilot partnership project of Linell Stabler from ACES North America, the Fundación Mahatma Gandhi, the neighborhood association chaired by Maria Victoria Valerio Genao, and the mother’s club represented by Nancy Capois. Slated for 15 participants, because of high demand we had to start with 20 participants ages 6-13!! An afternoon session for older community people is also in the plans. Each session lasts four weeks and includes ten different craft projects. The Proyecto Taller is in full swing!! If successful the plan is to continue in other neighborhoods that request it. It is free for participants. Each session lasts 4 weeks for 15 people, so it is expected that about 45 children and young people will benefit. In the afternoon of every Saturday will also be a workshop for young people and adults if there is demand. The workshop project is a strategic alliance between Aces North America, the Mahatma Gandhi foundation, the board of neighbors and the mothers club, to enhance artistic and creative development between children, young people and adults. Microfinance is a term to describe financial services (such as small loans) to low-income individuals or to those who do not have access to banking services. The idea behind microfinance is that low-income individuals are capable of lifting themselves out of poverty if given access to financial services. 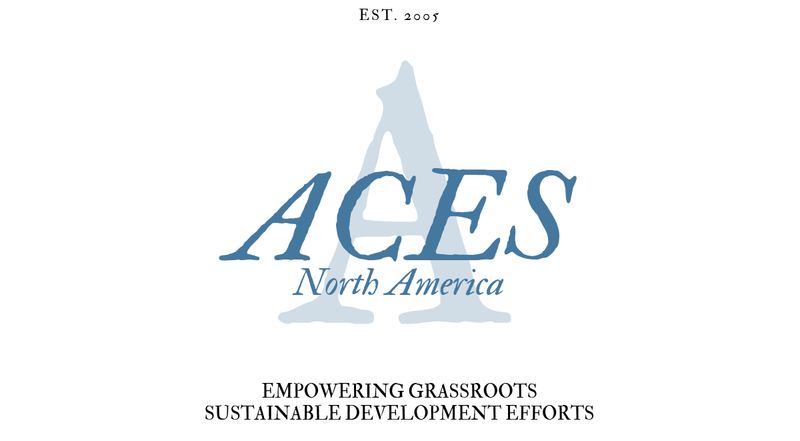 ACES is sponsoring several such projects at the moment. We’re always looking for exceptional Dominican social enterprises to fund, as well as investors to to increase our investment pool. As part of our effort to develop sustainable businesses, we’ve revitalized several abandoned greenhouses in the Triple Ozama region. This project is being led by a group of woman who will be growing passion fruit and yucca with the support of their community. Far up a mountainous dirt and rock road riddled with potholes lies our biggest project and the community of El Naranjito’s best opportunity to pull itself out of poverty through diligent and persistent hard work. Those knowledgeable about coffee production know that the Roya fungus has destroyed much of the coffee trees in Central and South America. El Naranjito is no exception to this, with many of its coffee trees hit by this terrible disease. While recognizing it as the incredible setback that it is, ACES is working hard to make it an incredible opportunity for local Dominicans. Through collaboration with Golden Valley Farms Coffee Roasters, the Lycoming College, and Cultivation to Cup, ACES is helping to train these farmers on improved organic growing methods to efficiently produce the best possible coffee. Farmers will realize a truly fair trade value for their efforts by improving the quality and yield of their crops. Already, the coffee farmers are investing in Roya-resistant seedlings (shown above) to replace damaged plants, and are learning about organic fertilizer to improve their production. 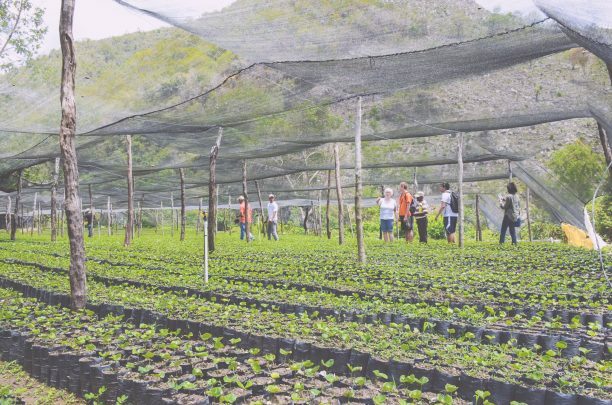 And with some help from the Dominican government, co-operatives of coffee farmers are investing in improved processing equipment that will increase their coffee’s value. ACES is affiliated with a talented group of Dominican health and medical professionals who regularly commit to day-long health outreaches in remote communities. Each American service group teams up with these professionals to facilitate a scheduled outreach to provide basic health consultations, dental care, HIV/AIDS and diabetes testing, pharmaceuticals, counseling and family planning services. More than 500 patients are seen on a typical outreach day. 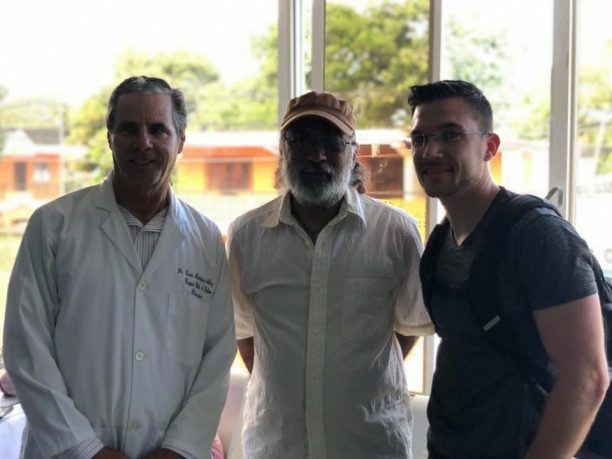 ACES also regularly sends health and dental supplies donated from generous US individuals and groups, and hosts US medical and health professionals interested in making a difference as they volunteer at outreaches and in communities. We realize that before people can invest in education or productive self-sustaining business ventures, they must have their immediate health needs met. The Dominican healthcare system, at best, serves those residing in urban areas. Citizens in rural environments have no access to even basic medical or dental services, which significantly impact their quality of life. We firmly believe that investing in healthcare not only addresses a basic human right, but that it also allows the hardworking Dominican people to invest in their, and their children’s, futures. We realize that before people can even think about educating themselves and starting businesses, they need to have their immediate health concerns met. ACES provides monetary and personnel support to communities in the DR. We sponsor clinics with medical equipment and supplies. We organize doctors, nurses, and dentists to volunteer their time in the clinics.